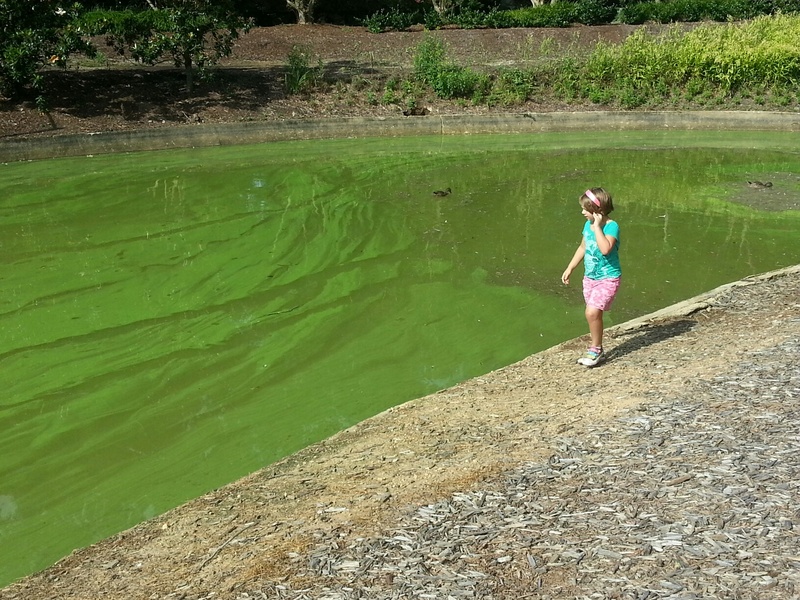 A recent visit to Raleigh’s Pullen Park revealed a less than pleasant lake for park goers to gaze upon. Though next to Rocky Branch, the lake has no visible inflow from that stream. Runoff from the park is likely to be the main nutrient source for the algae in the lake and there’s no doubt that the season’s heavy rains have a role in its current abundance. Paddle boating anyone? ← Bees Good for NC?